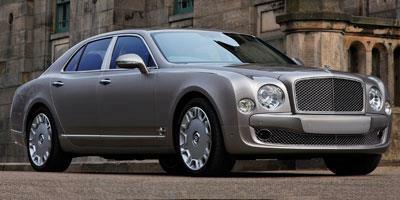 The Mulsanne was introduced in 2011 as Bentleys flagship sedan replacement to the Arnage. Named after a popular stretch on the sports car race track in Le Mans, the Bentley Mulsanne was a modernization of the companys super luxury car engineering. 219.5 inches in total length and weighing about 5,700 pounds, the 2011 Bentley Mulsanne was immediately projected a giant road-going persona. 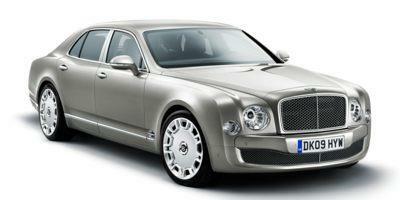 Up to 114 exterior paint colors are available to coat the Bentley Mulsanne body panels. LED daytime running lights surround the main xenon headlight and 20-inch aluminum wheels provide the 2011 Bentley Mulsanne with a sleek, cutting-edge appearance. Powered by a big V-8 engine, 6.75-liter twin-turbocharged 2011 Bentley Mulsanne powerplant was a modified version of the engine previously found with the Arnage. With output set at 505 horsepower, the engine powering the 2011 Mulsanne was enhanced with advanced features such as variable cam phasing and cylinder deactivation for improved efficiency. When the Mulsanne debuted in 2011, the sedan became the first Bentley to feature an eight-speed automatic transmission. The interior of the 2011 Bentley Mulsanne features a completely handcrafted finish with high-quality leather and actual wood veneers. It is said that the formation of each Bentley Mulsannes interior takes between 165 and 170 hours to complete. Found standard on the 2011 Mulsanne was a 60-gigabyte hard drive capable of storing navigation and audio files as well as a 14-speaker Naim stereo system with a 2,200-watt amplifier. For the 2014 model year, the Bentley Mulsanne sedan received several equipment enhancements such as redesigned headrests and footrests. 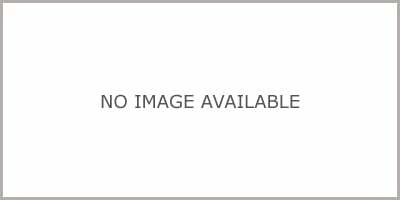 A Wi-Fi router was also added to the option list of the 2014 Mulsanne. The Bentley Mulsanne sets the standard in ultra-luxury sedans. 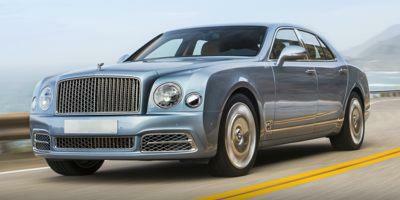 Bentley’s decadent Mulsanne is as lavish and as luxurious as sedans come, with a price tag to match such elegances. With seating for five and more luxurious amenities than any other car in its class, the Mulsanne leads the pack for a number of goodreasons. Stylishness meets superior engineering, delivering a one-of-a-kind gem of a luxury sedan that begs to differ, setting a benchmark for elitist automobiles. A stunning full-size sedan, the 2014 Bentley Mulsanne is a high-end vehicle that boasts quality craftsmanship, impeccable design and luxurious features. A high-end full-size sedan, the 2013 Bentley Mulsanne provides the driver dynamic styling, impressive performance, and plenty of luxury. The all-new $275,000-plus flagship for the British luxury marquee, it is with little doubt the 2011 Bentley Mulsanne does not enchant buyers through luxury and extreme performance.